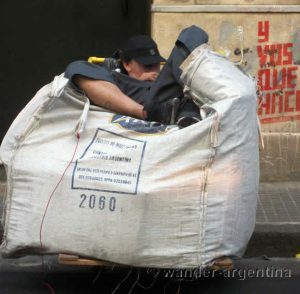 A cartonero (garbage picker) snoozes in Buenos Aires. 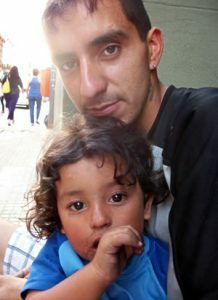 The graffiti next to him says, “¿Y vos que haces?” (And what do you do?) Do you know what neighborhood this is in? Make your guess on our twitter or facebook page!